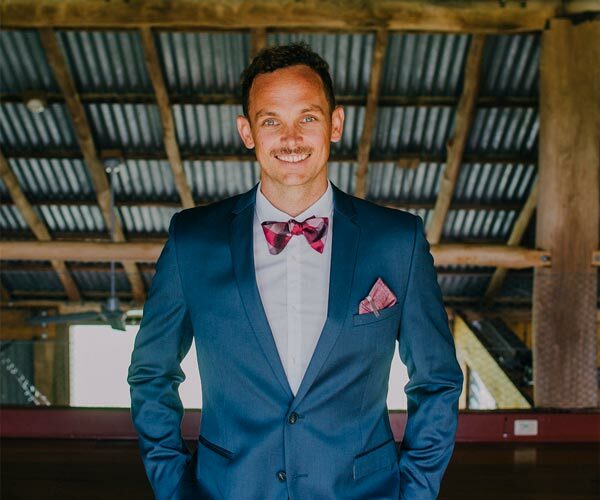 Hi, I’m Pete – husband, father, Griffon owner, bow tie wearer, a bit of a geek and a Marriage Celebrant. I’ve spent quite a bit of time on microphones over the years – as a radio announcer, MCing events, running tours around Europe. Being handy on the mic and the ability to have a bit of fun led friends and family to ask me to play different roles on their wedding day. And y’know what? I absolutely loved it! So I became an authorised Wedding Celebrant. Which is great because it gives me an excuse to constantly top up my pocket square collection. Couples choose me because they want their ceremony to be energetic, meaningful and on point. It’s pretty special to be involved in someone’s Wedding Day and I take it seriously, making sure its fun and full of smiles. So, while you are here take a look at the testimonials, my instagram, the process and packages. I spend most of my time between Sydney and the Central Coast though no wedding destination is off the cards! Get in touch today and have a chat about your wedding.